DK-LOK® V63/66 series proportional relief valves provide a wide range of set pressures in order to protect your systems against over pressurization resulting in damage to system components. 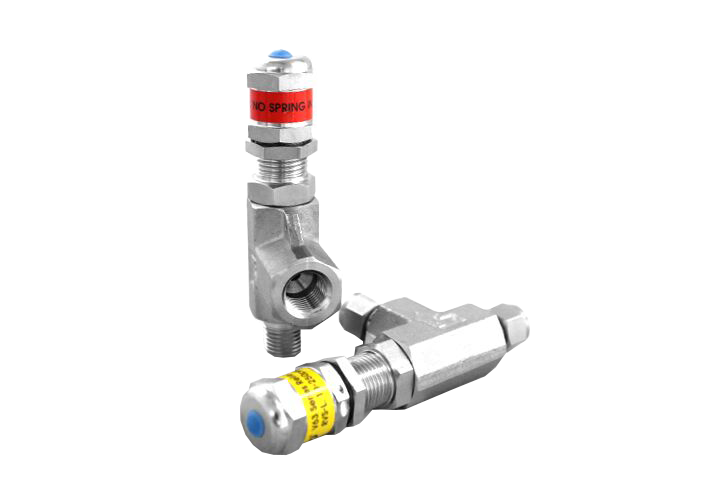 These proportional relief valves open in direct relation to how quickly the system inlet pressure overcomes the set pressure of the spring. They close in direct relation to how quickly the system inlet pressure drops below the spring set pressure. We offer a variety of connection configurations and seal materials to match your system requirements.